Creating a blog without a reasonable traffic is like building a business plan without actualizing it. In as much as you have good content without audience reading at your blog is like wasting time. Do you know 1billion of world population are using social media, and it absolutely free. You can get traffic to your blog by creating a customize page on facebook,twitter,instagram and main other, where you share your post link. When doing this remember to share your link with the perfect the audience according to your blog niche. Commenting on popular blogs with high traffic which share the same niche with your blog, can go a long way to increase your own blog traffic. Always end your comment or in between your comments with a link back to your blog. But make sure when doing it you do not spam the targeted blogs. Guest post is another way you can generate traffic to your blog. Guest post is a blog post feature in another blog. And this post remain on the targeted blog in as much as the blog exit. You tend to leave your details on the blog post, when people find your post interesting they then to follow your blog via the link you will provide. Answering questions and solving peoples problem on this platform will make they friendly to you first, and will propel them to visit your blog when you give them the opportunity to. 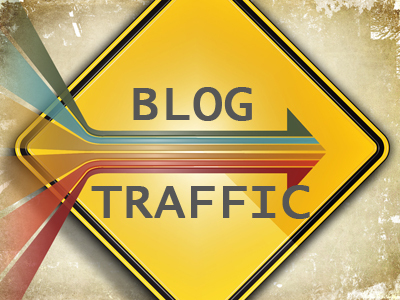 This is one for the biggest way you can generate traffic to your blog. By crawling your blog post. Make sure your content are original, that way when get crawl above a particular niche when audience use the Google search engine. We all know eBay is a sales platform and it’s pretty easy to use. This technique works best for people who market products on their blogs, all you need do is post a product (at a cheap rate), then post your blog URL in the description as a source for more info on the product. Commenting topnotch forum blogs and sharing your link there can generate traffic too to your blog. Ensure you share your link when necessary, to avoid being banned or kicked out of the forum. To all forum platform tolerate that.